The other day, I just got back from New York City. I was there to pick up a visa. I went to New York City and back within 24 hours. Crazy eh? See, I am adding another country to my list. Yep, it will be this one. Yes, boys and girls, I am heading to Chile. This will be my 20th country in which I will have set my feet on, and I am quite stoked about it. I already bought a Lonely Planet, as I would be needing it for my 12-day stay. I am giving two academic talks in a conference that is going to be hosted by the Pontifical Catholic University of Chile (mind you though, my talks have nothing to do with Catholicism or religion for that matter). And since it's far, we figured we might as well enjoy ourselves and do some sight-seeing too, so we extended our stay by a couple more days in order to see the sights, primarily Santiago and Valparaíso, and maybe Viña del Mar if we still have time. So, given that, I had to get a visa, as Chile requires citizens from the Philippines to get one. In order to do that, I went to the Chilean Consulate in New York City two weeks ago, and submitted my application. I was interviewed by the consul, in what was perhaps the most relaxed interview I had ever. I then had to pick the visa up later, which I did the other day. So now, my passport has a new sticker in it, allowing me to enter Chile within 90 days, multiple times, and stay there for 90 days. Awesome! Unfortunately, I will only be staying for 12 days. As I was reading the Lonely Planet book, I am slowly liking this country, and wished that it would be nice if I get to spend more time there. Chile seems to be an outdoors-adventure country. Unlike Peru, where the highlights involve these spectacular archaeological wonders created by the Inca, Chile has plenty of national parks. If I remember correctly, 19 percent of Chile's land is in a national park. There's plenty of mountains and canyons to hike and trek, which is something that interests me. Thus, after reading about this country, I sort of feel bad that all I am going to see is the capital and its surroundings, due to the limits of time. Anyway, that just gives me an idea of what to see and where to go for a future vacation. The trip is still a few weeks away, but I am already excited. I am glad that Bernardo O'Higgins allowed me to visit his country. Of course, a full trip report will follow, so stay tuned. Cool! 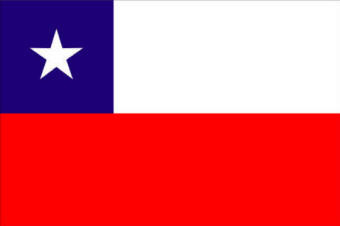 I love Chile, really relaxed country. Been to Arica (in the North), Santiago a couple of times and then Patagonia to hike Torre Del Paine. Santiago is a great city, make sure you eat at the fish market. The food is awesome! Let me know if you need tips. Just by what I have been reading so far, it seems a very cool country! I am really disappointed that I don't have much time in the country to explore it further. By the way, I sent you an email!